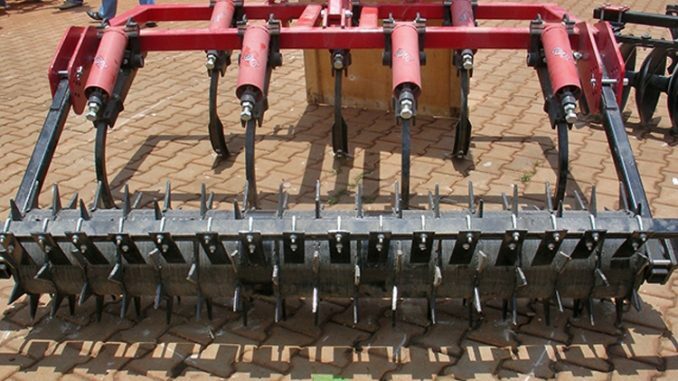 With state of the art agricultural inputs, this firm is here to revolutionize the sector in Uganda. Better food storage facilities are key to halting the skyhigh food prices that affect African countries when production dips, whether because of harsh climate conditions or crop failure. In a few years, Uganda will have less storage problems after Iran Agro Industrial Group finishes its multi-million dollar silo project. Iran Agro is a subsidiary of Tarashkadeh Company based in Iran. The company’s managing director in Uganda Mohammed Musavu, said the silos, when completed, will have the capacity to store produce from their own Green State farm in Gomba District. Green State farm is part of the National Enterprise Corporation farm in Gomba where the Iran Agro Industrial Group is raising cows, goats and sheep and growing crops like beans, sunflowers, soya beans and red berries. According to the farm manager, Namanya David, the plan for building silos follows lack of proper storage facilities for their produce, which forced them to sell it quickly instead of storing some for future consumption. The company also has an abattoir in Gomba where animals from the Green State farm are processed for both local and foreign markets. Among other future projects on the way is silk farming and processing. Iran Agro Industrial Group, which started operations in Uganda eight years ago, is a supplier of Iranian-made furniture, solar lighting systems and agricultural equipment in Uganda at affordable prices. They also supply tractors, trailers, ploughs and stalk shredders, planters with fertilizer distributors, potato diggers, threshers, mills, cultivators, furrowers and sprayers.